Targeting the Dopaminergic System in Autoimmunity. Dopamine has emerged as a fundamental regulator of inflammation. In this regard, it has been shown that dopaminergic signalling pathways are key players promoting homeostasis between the central nervous system and the immune system. Dysregulation in the dopaminergic system affects both innate and adaptive immunity, contributing to the development of numerous autoimmune and inflammatory pathologies. This makes dopamine receptors interesting therapeutic targets for either the development of new treatments or repurposing of already available pharmacological drugs. Dopamine receptors are broadly expressed on different immune cells with multifunctional effects depending on the dopamine concentration available and the pattern of expression of five dopamine receptors displaying different affinities for dopamine. Thus, impaired dopaminergic signalling through different dopamine receptors may result in altered behaviour of immunity, contributing to the development and progression of autoimmune pathologies. In this review we discuss the current evidence involving the dopaminergic system in inflammatory bowel disease, multiple sclerosis and Parkinson's disease. In addition, we summarise and analyse the therapeutic approaches designed to attenuate disease development and progression by targeting the dopaminergic system. Graphical Abstract Targetting the dopaminergic system in autoimmunity. Effector T-cells (Teff) orchestrate inflammation involved in autoimmunity, whilst regulatory T-cells (Tregs) suppress Teff activity promoting tolerance to self-constituents. 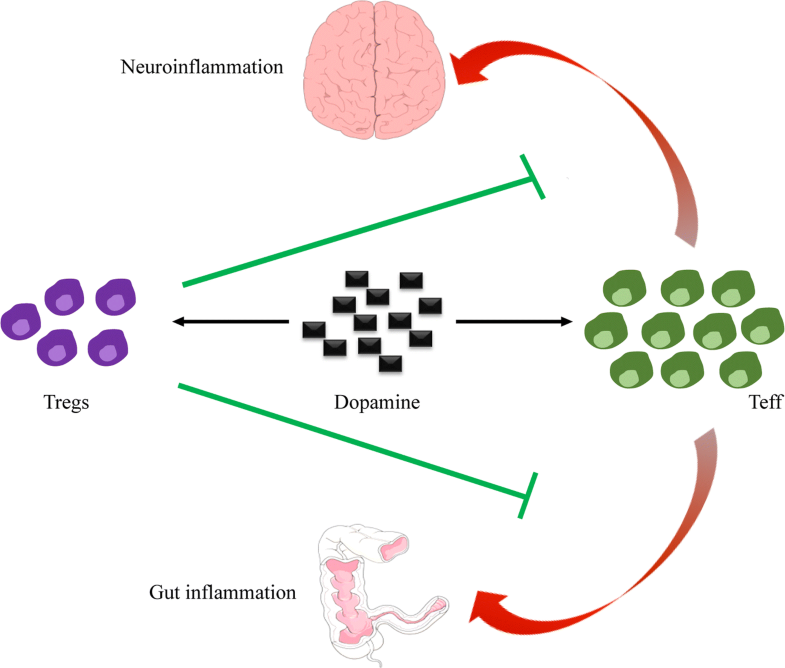 Dopamine has emerged as a key regulator of Teff and Tregs function, thereby dopamine receptors have becoming important therapeutic targets in autoimmune disorders, especially in those affecting the brain and the gut, where dopamine levels strongly change with inflammation. Here's the article's abstract from PubMed. Bioness L300 system Left Leg for sale. Heard a quotation today (not verbatim but similar): Science progresses one funeral at a time. This is just a study in animals, but it could shed some light in MS. Thanks to MSUK for the report.